Office Hours: T.Th. 9:00-11:30 AM. Math 262-03H: T.Th. 11:00 AM-12:15 PM, Hume 110. Math 302: T.Th. 1:00 PM-2:15 PM, Hume 110. J. Buttcane, R. Khan, On the fourth moment of Hecke Maass forms and the Random Wave Conjecture, Compos. Math. 153 (2017), no. 7, 1479-1511. 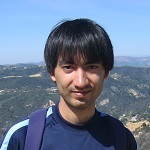 R. Khan, H. Ngo, Nonvanishing of Dirichlet L-functions, Algebra Number Theory 10 (2016), 2081–2091. J. Buttcane, R. Khan, L4-norms of Hecke newforms of large level, Math. Ann. 362 (2015), no. 3, 699-715. R. Khan, D. Milićević, H. Ngo, Non-vanishing of Dirichlet L-functions in Galois orbits, Int. Math. Res. Notices IMRN 2016 (2016), no. 22, 6955-6978. V. Blomer, R. Khan, M. P. Young, Distribution of mass of holomorphic cusp forms, Duke Math. J. 162 (2013), no. 14, 2609-2644.